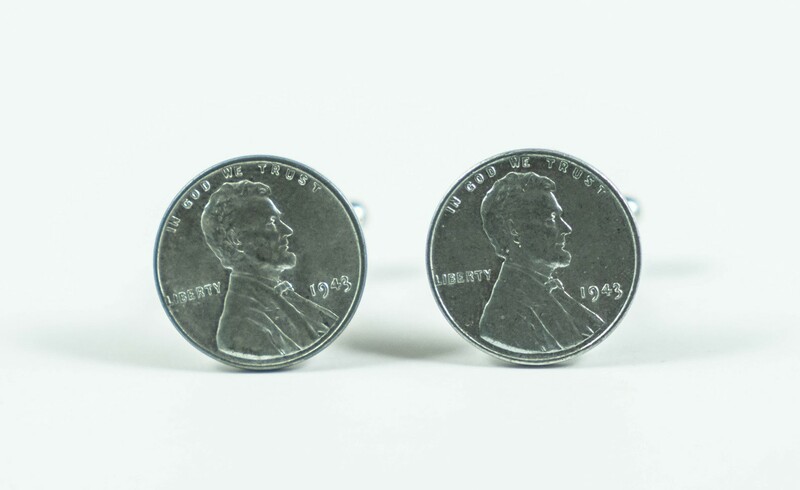 In 1943 we made pennies out of steel so that we could conserve copper for the war effort. 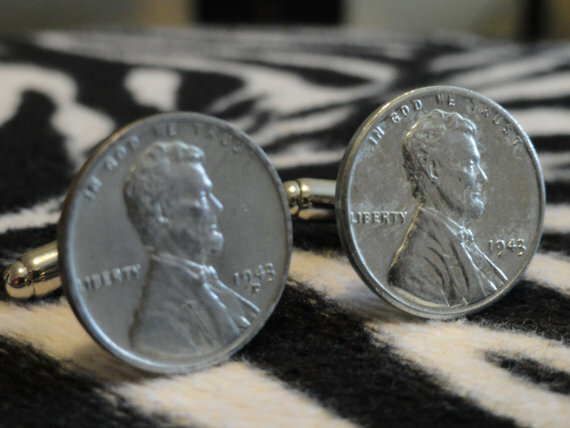 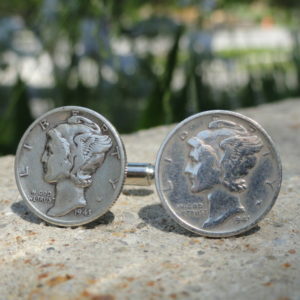 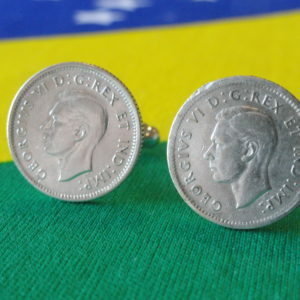 I have taken two authentic coins from this year and turned them into cufflinks. 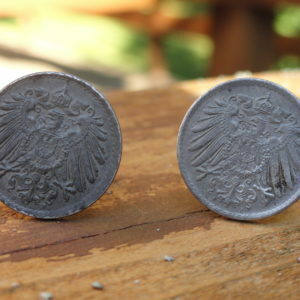 Buy a piece of World War II history!